In 1996, just as I was finishing high school, I bit into a bagel made with sun-dried tomatoes and olives. Setting aside the fact that I had yet to realize I had a problem with gluten (a problem by the name of “celiac disease“), I hadn’t eaten many olives in my day. My family rarely put them out at mealtime, and I cannot think of a time when they were served or cooked in a dish I ate at home. We were mad for pickles. Specifically Kosher dill pickles, specifically Mrs. Whytes Kosher Dill Pickles because WHY WOULD YOU EAT ANYTHING ELSE. Being Polish my grandmother made her own, but when they were not available, Mrs. Whytes was where the pickles were at. My cousin Alanna once devoured a whole plate of them at a family get-together. She was two. So we didn’t need olives, is what I’m saying. Pickles were what one ate when craving salt. On that fateful day in 1996 I took a bite of this bagel and spit it out pretty quickly. The problem, it would seem, was the olives. I started asking friends if they liked these small balls of evil and it turned out that olives were fairly divisive. As I said in my FAQs post, no one has borderline feelings about them; you hate olives, or you love them. And in my case, I was clearly in the “hate” category. 1) I really still seriously dislike olives. Like, for real. I have had friends trick me by trying to bake them into foods where they won’t be expected and ha ha Jodi spat out the whole thing it worked. I have tried olives around the world, as I’ve said prior, but they are just viscerally so disgusting that I cannot even pretend to swallow them. I’ve tried olives stuffed with meat, cooked, baked, you name it. I’ve tried them in places so renowned for olives that the olive lovers fall silent when I mention my taste tests. I’m in Greece now, by the way. If they let me stay in the country once this post is live, I’ll try the olives there, as I always do. It’s not going to be pretty. 2) I’ve discovered that a lot of other people dislike olives too. So heartening! Joining in our olive hate! 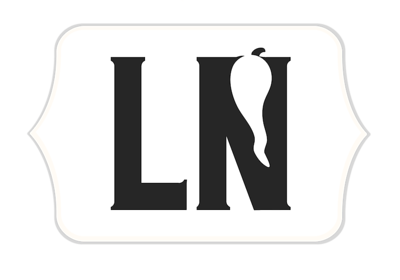 A quest to rid foods of this scourge of taste! I’ll stop. Basically, thanks for making me feel like less of an albatross. And thanks also for asking for a t-shirt to announce your preferences to the world. 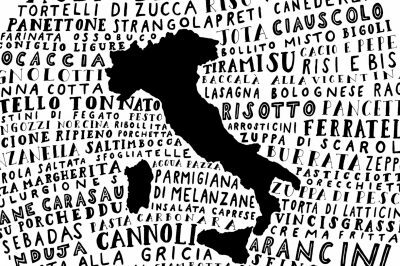 3) I also know how many people LOVE olives, so don’t worry there is the counterpoint in the Great Olive Divide here. All of these will be in the new shop that accompanies my site (see below), but I wanted to update the post to make this clear as the pro-olive camp is taking umbrage. I wouldn’t leave out the other part of my readers, but had to launch the one that works best with my tastebuds first ;) And of course as someone who uses olive oil for cooking all the time and washes my face with olive oil in lieu of a cleanser, I benefit from the industry tremendously. I just don’t like the taste of olives. Behold! Women’s anti-olive t-shirt prototype. 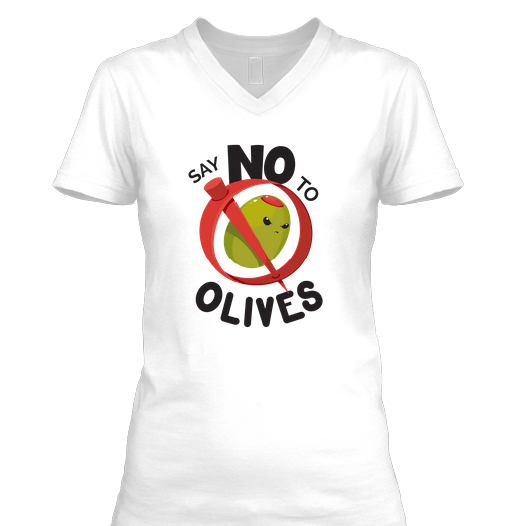 Men’s “Say No To Olives” shirt. How did this design come about? 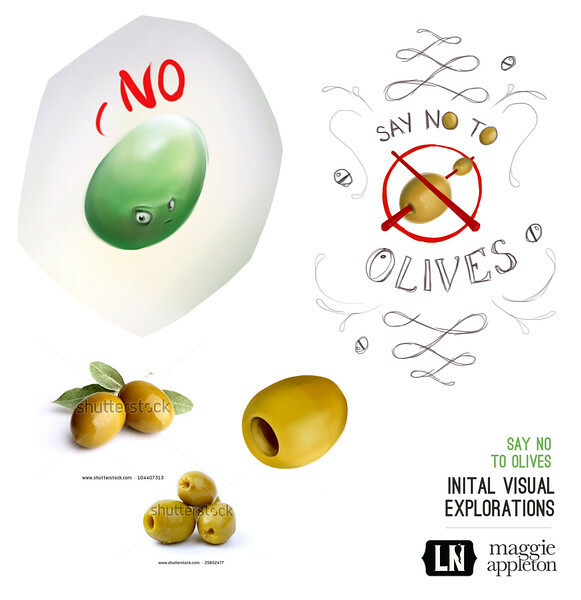 A friend in Saigon, a talented illustrator named Maggie, likes olives — but also enjoys a challenge. Despite eating them herself, she was willing to let me hire her to design this t-shirt and go back and forth on what it would look like. 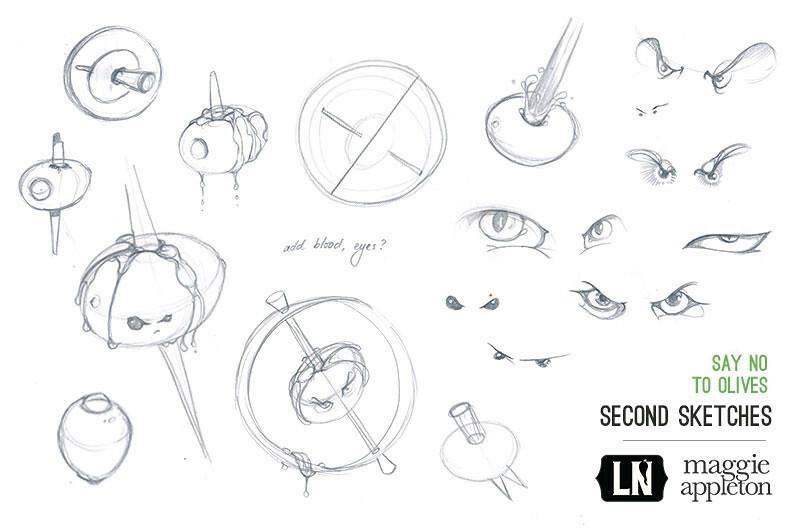 Given my aggressive averseness to olives, her sketches started out grim and wonderful, a dark embodiment of my truest of olive feelings. Unfortunately we thought the barbed wire and blood would be a bit alienating. The next version was a little more friendly. But the blood was still a bit much. We settled on something like “angry olive doesn’t like be left out of the taste party”. It was the perfect balance. You can pick up your t-shirts (men’s and women’s soft cotton, same base t-shirts as the Vietnam maps campaign) here. Because we’re a bunch of nerds, we also made wallpapers available for mobile, iPad, and desktop. Just in case you really wanted to advertise how much you hate olives. They’re available for download (for free) here. If you hover over the file, it shows the device it was designed for in the filename. 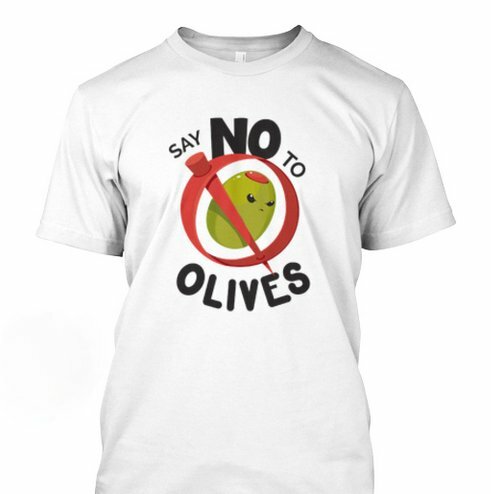 Also, the one and only Max also bought me no-olives.com as a t-shirt launch present, which now redirects to the Teespring page. Woohoo! 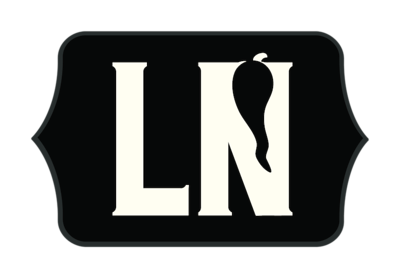 For all Legal Nomads t-shirts, either hand-drawn maps or this olive shirt, this new Legal Nomads logo with chilli will be somewhere in the design, indicating its provenance without being too aggressive. Thanks for all the requests for these t-shirts! Love your blog of course, bought your other shirt, but I cannot condone your persecution of poor, innocent, juicy, delicious olives by buying your shirt. Sorry Jodi. Understood Mr. Cooper! 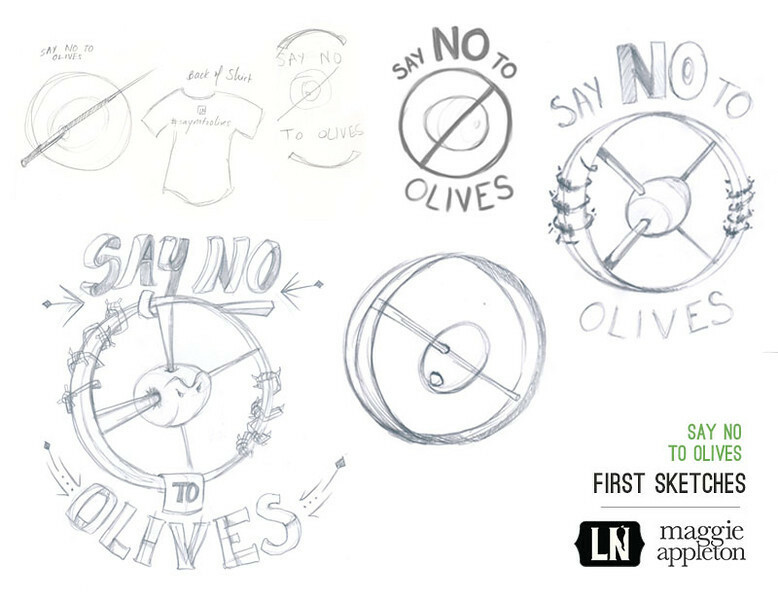 Your shirt (say yes to olives) is in the works, fear not. 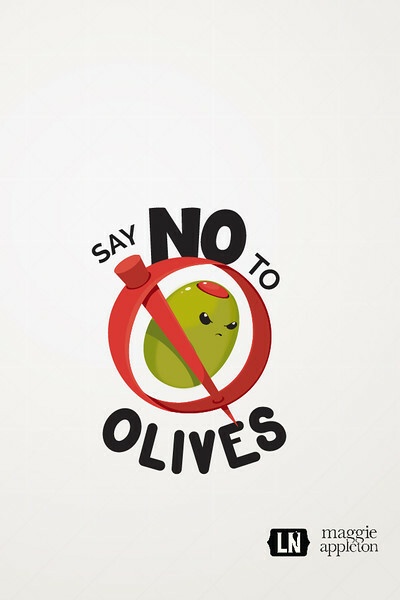 Ahahahah, I hate olives too, and I’m Italian! I’m an olive lover but I still find this to be pretty hilarious. If I hated olives, I’m sure I’d love the shirt! I’m excited to check out the redesign soon. Good luck with it all! 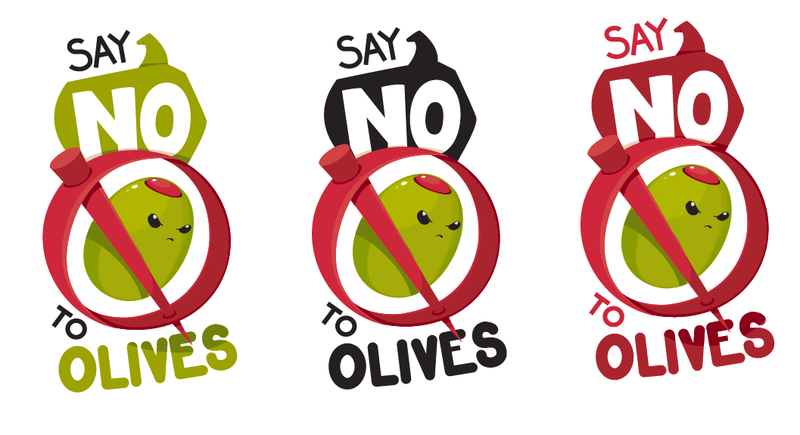 Sorry, I love Olives… especially the Greek Kalamata variety and the Spanish ones, stuffed with Anchovies… yummmie! I’ll be launching the pro-olives version later on. Good tapenade, spread thinly on a slice of baguette, and topped with a slice of gooey brie is a pretty good gateway drug to whole olives. But to be honest, the olives most North Americans grew up with until recently (either the rubbery black “pizza” olives, or the green olives stuffed with pimento illustrated above) are pretty awful, and for a long time I was in your camp. Justin! Nice to hear from you. I’m always down with trying a new olive dish to see if it changes things. Will take you up on that (minus the baguette) when I’m next in town. There is an olive-lovers shirt coming too. I didn’t want to leave out the other section of readers who are passionate about them. Haha funny t-shirt… but one I cannot condone! Let me throw out another taste challenge for you Jodi…If you are ever in Barcelona go to Tickets restaurant and try their marinated olives. 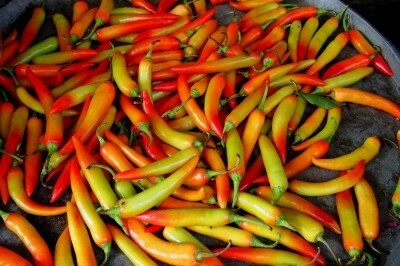 You don’t have to chew them… simply crush them between your tongue and top of your mouth and let the flavours explode. 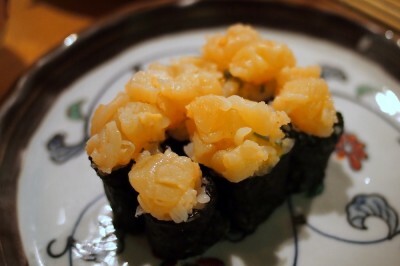 Mmmm just thinking about them makes me wanna visit again! Please put me on the waiting list for when you debut your “I Hate Bananas” t-shirt. The Freudian implications notwithstanding, I think it’s a texture thing—slimy mush—shudder. Firmly in the NO OLIVES camp here! So gross. I like everything else that is pickled and briny, just not olives. Bleh. I even make the people at sub shops change their gloves before making my sub so I don’t get any crossover olive taste contamination! 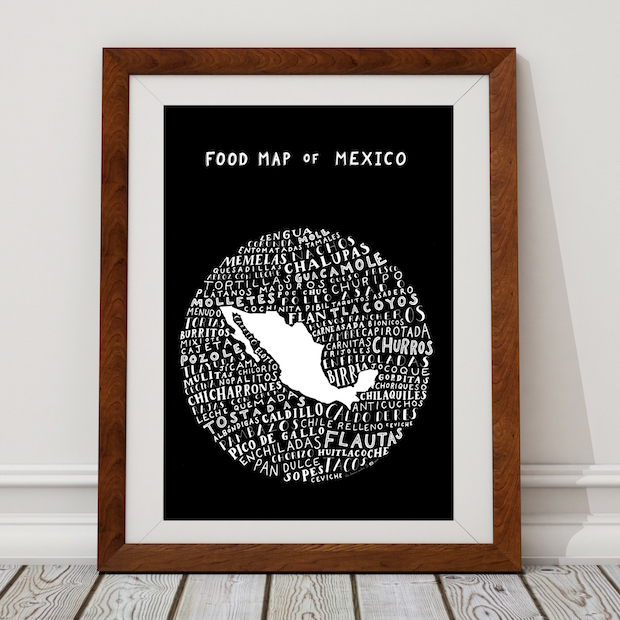 This is a site about FOOD and CULTURE and lots of things that are foreign to us. What else are you planning to get rid of and make the world what YOU want? Hey Scooter, not sure where you’re getting that from this over-the-top post. Surely you don’t think I want to “rid” the world of olives? I use olive oil all the time — why would I do that? It’s a divisive topic (clearly) as people don’t just feel on-the-fence about olives. 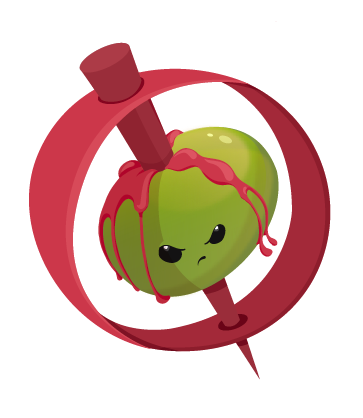 There will be a pro-olives shirt too in the store, but I had to start with this one, since the olive joke has been going on for years on this site. I can’t see where your outrage comes from as there’s nothing indicating I want to dispose the world of people whose tastes differ. It’s a joke, and as you can see from the reader comments above, even those who do like olives haven’t taken umbrage because I don’t. My feeble attempt at levity did not go well. 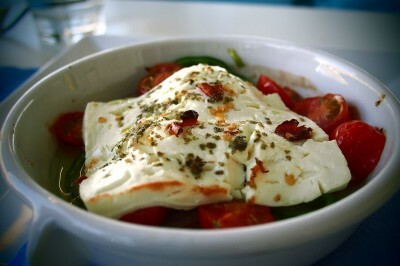 I feel I have a moral obligation to stand up for the olive and all of it’s delicious squishiness!! God save the olives! As I see many supporters of the olive here, I must in response show my anti-support for the olive. As an epicurean, I must say olives don’t taste right. The same goes for capers.. ughhh. Wow, I really hate this. Spain has enough problems economically without someone trying to destroy their olive industry – one of the few Spanish industries still doing well.